When Borders Closes, Do Doors Slam Shut In Classical Music? 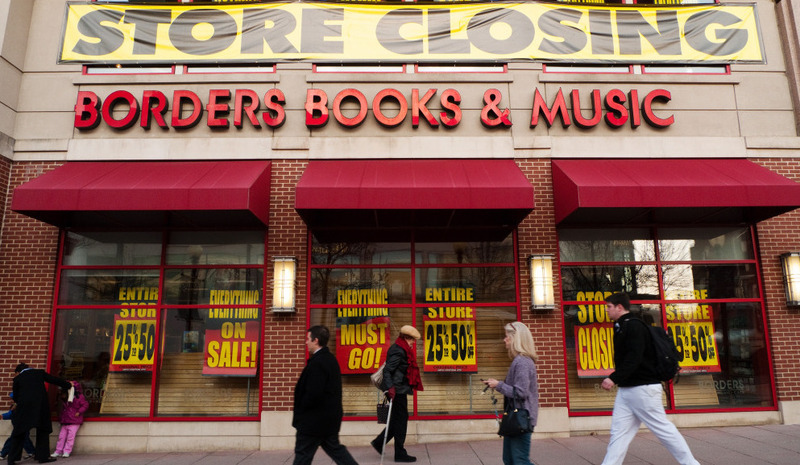 : Deceptive Cadence What the closing of one of the last big books-and-music chains means to classical music fans. When Borders Closes, Do Doors Slam Shut In Classical Music? In addition to the grim truth of another 11,000 jobs lost and 400 retail fronts closing, the news of the Borders failure marks the end of another chapter in how classical music is distributed, sold and enjoyed. Virgin and Tower Records have long since given up the ghost. And as Barnes & Noble and Borders both morphed from being booksellers to books/music/tchotchkes/coffee chains, they were the two remaining national outlets that took up at least a bit of the slack, even though their classical offerings were never particularly deep or broad. Borders was never another Tower: You wouldn't encounter clerks who could reel off their objections to the Penguin Guide's picks, share a moment of mutual discovery with another giddy fan, or glimpse a renowned musician or two browsing the racks, but it still was a store that acknowledged classical music exists. However, industry insiders say the demise or Borders was both long foreseen and almost inevitable. René Goiffon, president of Harmonia Mundi USA, says his label had decided to stop selling to the chain in July 2010. In Goiffon's words, Borders was "the perfect model of disaster. Basically, in the past few years, they had no idea what to buy or how to buy. So they'd purchase 2000 copies of a title, return 1800 of them, and then the label would be stuck with all this extra, depreciating stock." Borders' buying patterns also made for fan frustrations, Goiffon asserts. "For years," he notes, "we pushed in vain to get them to target buying geographically: Instead of sending most of their stock to the biggest markets for classical music, such as New York, they'd send four or five copies of each title to every single store they had — so New York would sell out and be stuck, while all those other copies languished in other stores around the country." So if you were in one of the main U.S. classical music markets, like Manhattan or San Francisco, you might never see a label's biggest releases as you flipped through the bins. For many classical music listeners, browsing is still an important pathway to musical discovery, one that many online sellers haven't managed to duplicate. And lots of people still prefer physical CDs to downloads. (And classical music metadata is still the beast to be tamed.) The Borders experience left a lot to be desired, for sure, but you could walk into one of their stores and know that you'd see classical music there. Where does the closing of Borders leave you, the fan? Did you shop for classical music there? Will you miss its presence? Are there any stores left where you enjoy browsing for and buying music, or feel a sense of community? Have you sworn your allegiance to an independent shop, or have you switched to online buying? Let us know in the comments.